How many small business owners are not clear on the main problem that they solve, one of the steps within the StoryBrand marketing framework. How analyzing Star Wars can help small business owners improve their marketing through identifying one central problem that their potential clients and customers are facing. How identifying too many problems leads to more overwhelm, which leads to visitors to your website to bounce or people on social media to keep scrolling. Why putting all the problems you think potential clients and customers are suffering from is actually leading people to hesitate working with you. Steph’s strategy for figuring out the central plan in your business. The difference between small business owners’ services (offerings) or not the problem future clients and customers are facing. If you’re feeling frustrated because you’ve tried just about every way to get more clients consistently (you know- the ones that will pay) but you’re getting nowhere, schedule a call with Stephanie, your resident StoryBrand Certified Guide, to see how she can help you implement her 3-step marketing process so you can start booking out your business! Schedule a Strategy Session with Steph! You know that marketing plan? The one you keep putting off? The one that you know will get you more business? 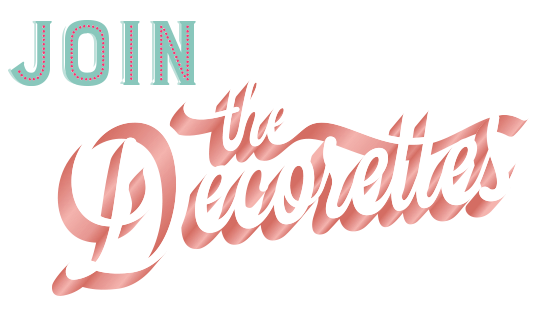 You need some accountability and encouragement (and perhaps a bit of direction) to get it done, so join us this month in The Decorettes VIP Lounge for the Building a StoryBrand book club and BrandScript Challenge! You’ll use the book, along with a free online tool, to map out the seven marketing messages that you need to go back to over and over again to get more business. No more throwing spaghetti at the walls, because this framework works!